Moto G7, Moto G7 Plus's Specifications Leak, Moto Z4 can be equipped with the Snapdragon 8150 processor - mobilereview.online - The Ultimate resource for mobile phones reviews, specification, information. Lenovo-owned company, Motorola, can expand its mid-range series and launch the Moto G7 and Moto G7 Plus. It is expected that the Moto G7 and the Moto G 7 Plus can get curtain the next year. 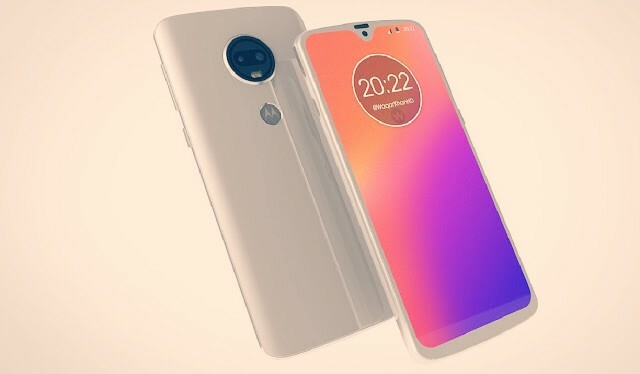 In addition to these two smartphones in 2019, the upgraded version of the Moto Z3 and Moto Z4 is also expected to be launched. Several leak reports have started before the launch. A recent Tipster has leaked some specifications of Moto G7, Moto G7 Plus and Moto Z4. Talking about the major features of the Moto Z4, this handset can be equipped with Qualcomm Snapdragon 8150 chipset. Recall that the Snapdragon 835 processor was used in Motorola's Moto Z3 smartphone.Besides the Tipstr Andri Yatim EmbedIt shows that the Qualcomm Snapdragon 660 processor, 4GB RAM and 32 GB inbuilt storage can be given in the Moto G7 for speed and multitasking. At the same time, the Moto G7 Plus can have 4 GB / 6GB RAM with Qualcomm Snapdragon 710 or any other processor. Hope to know that 64GB of storage is available to save photos, videos and other things. Now talk of Moto Z4 flagship smartphone.The Motorola brand's handset can launch with Qualcomm Snapdragon 8150 processor, with 6 GB RAM and 64 GB / 128GB storage. Whether it is possible to increase the storage in all the three smartphones, it is still not known. Earlierthis month, Moto G7 and Moto G7 plus render leaks were leaked, in which the phone got a glimpse of the Waterdrop display noch and two rear cameras.